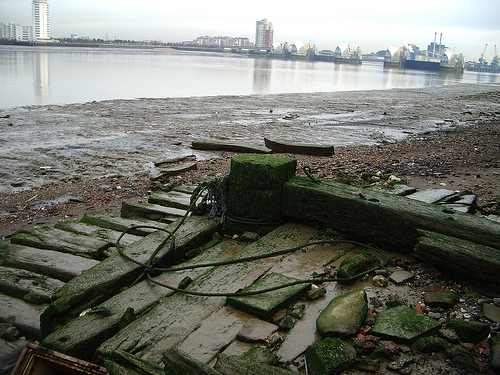 On Wednesday, we visited the site on the foreshore at Charlton on the south side of the Thames, close to the Thames Barrier. 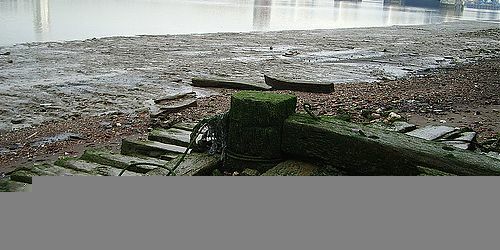 This site wasn’t surveyed in the 1996 – 1999 Thames Archaeological Survey, and was a complete surprise to us when we visited. The area is packed with incredibly interesting features – the remains of boats, stacks of timbers from dismantled ships, and the obvious remnants of boat breaking. The photos in the gallery from the Charlton visit show just a hint of the exciting possibilities that lie on the foreshore… we really look forward to using this site for the third round of FROG training in June. I will get Nat and Gustav to add more information about the Charlton site in the blog section. I hope that the images will whet your appetite for more about Charlton, and some of you will be encouraged to sign up for the June round of FROG training! !